Believe it or not, there’s a company, HealthyWage, that’ll actually pay you to lose weight. You pay a set amount per month as a bet on yourself. You decide how much weight you want to lose and how much time you want to take to lose the weight, as well as how much you want to wager per month. HealthyWage’s website will calculate how much you can get paid at the end of that time if you meet your goal. For example, if you pledge $50 a month with a goal of losing 30 pounds in 9 months, you’ll win $1042.75 if you succeed. You’ll have paid $450, meaning you net almost $600 in profit from your weight loss! That’s more than doubling your money in 9 months. 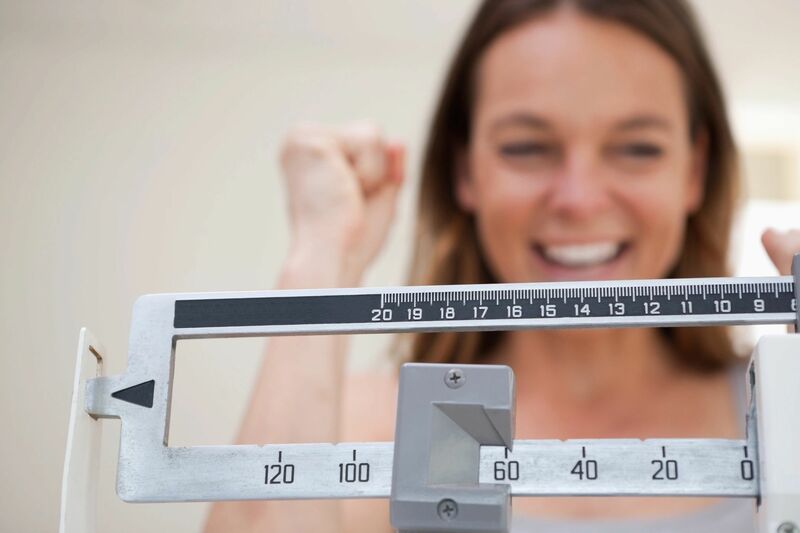 Research shows that people are much more likely to lose weight if they’re awarded with financial incentives. 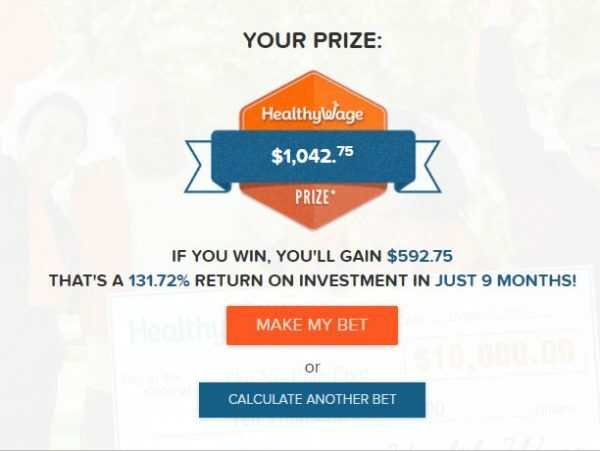 To get started, visit HealthyWage’s Personalized Weight Loss Challenge site and enter the amount of weight you want to lose and the number of months you’ll have to accomplish your goal, plus the amount you’re willing to wager on yourself each month. Go to the next step, where you will choose whether you’re a man or a woman. In the following step, enter your height. Next, you’ll be prompted for your current weight. After that, you’ll need to create a free account by entering your email address and a password. Next, click on Make My Bet to move to your payment page, where you enter a credit card for your monthly installment payments. You will need to have your starting and ending weight verified by a fitness professional or medical office, or you can make a weight loss verification video instead. How you lose weight is up to you, though HealthyWage encourages healthy methods of weight loss and doesn’t condone dangerous diets or unhealthy rapid weight loss. I wish I’d known about this when I was losing weight – I could have gotten paid to lose 45 pounds! Here’s how I lost weight. You can potentially win even larger amounts of money for your weight loss by joining a team challenge. Get healthy for the holidays. 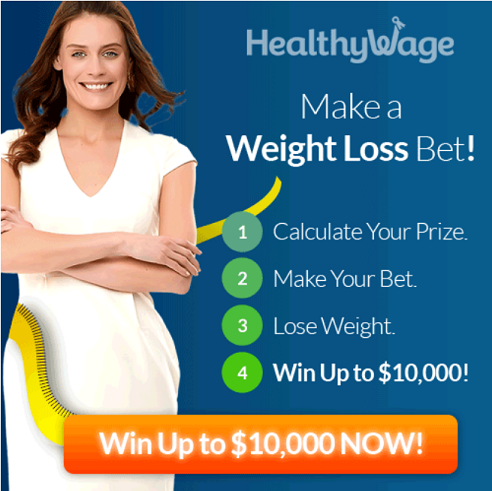 Lose weight and you could win $10,000 in a Team Challenge from HealthyWage! You can join a team challenge with coworkers or friends, or ask HealthyWage to set you up with a group of like-minded folks. Personally, I’d prefer people I already know, so we could motivate each other to succeed. 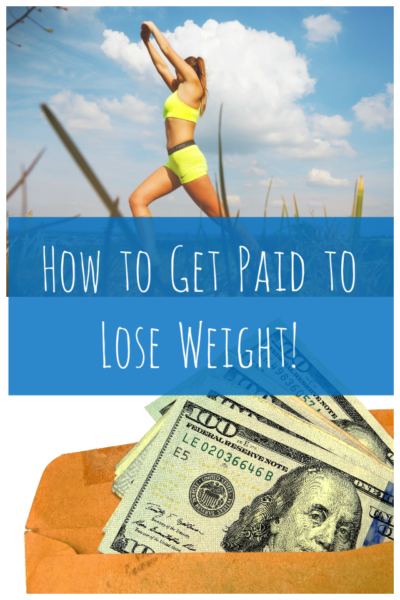 What do you think of getting paid to lose weight? What motivates you to lose weight? Sign Up Here for a Troubleshooting Worksheet & Ultimate List of Customer Support Websites & Phone Numbers FREE! You’ll Never Have to Worry About Looking Up Phone Numbers or Websites for Companies Again With This Comprehensive List.